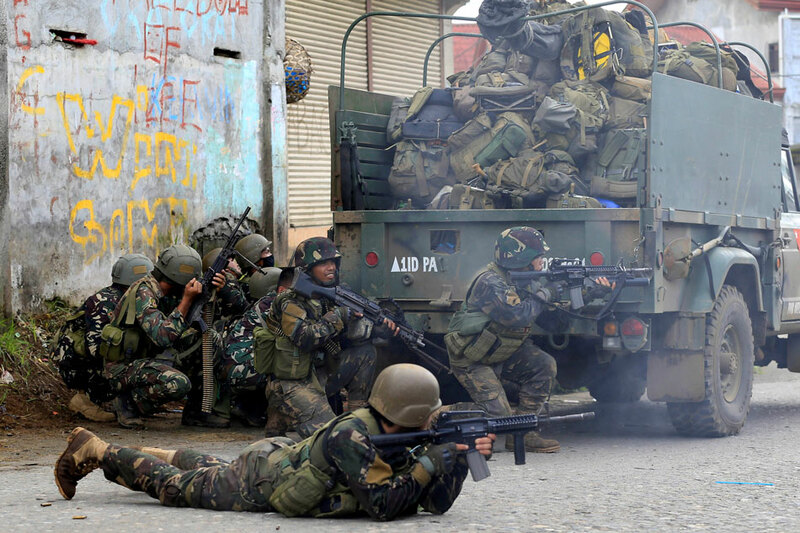 Last October 17 (Tuesday), President Duterte declared Marawi ‘liberated from terrorists’ after the reported death of Isilon Hapilon (Abu Sayyaf leader), and Omarkhayam Maute (Maute leader). 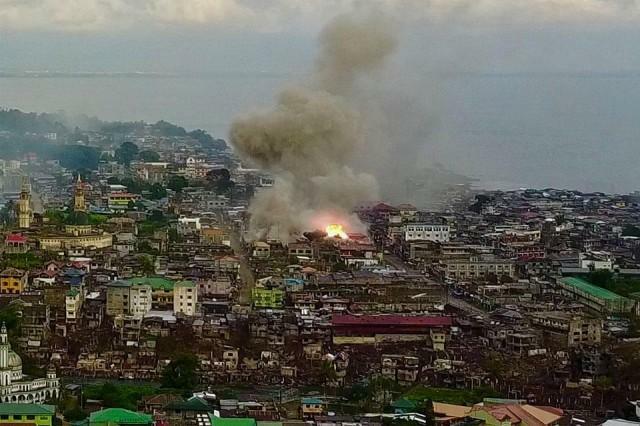 According to reports, since the onset of Marawi battle last May 23, about 1,000 were killed, and about 400,000 displaced residents were affected due to the armed conflict. We now come to face a more difficult situation. The post-war challenge is to rebuild Marawi. Some say that it would take six (6) or more years to rehabilitate Marawi. Plans would entail rebuilding of establishments, roads, residential houses, among others. This greater bulk of work, we can entrust to the government. But as an ordinary Filipino, what can you and I do to help our mga kababayan in Marawi rise again? As a public servant, I would like to share with you some modes through which the government enables us to extend help to the victims of armed conflict in Marawi. This is through the Department of Social Welfare and Development (DSWD). Last Sept. 27, I stumbled upon a post on a Facebook group that says DSWD is need of volunteers for packing relief items for people in Marawi. DSWD National Relief Operation Center (NROC) is in Pasay City, Metro Manila. Despite its long distance from my place (Caloocan City), the call to action captured me, and I did not hesitate to immediately connect with the contact person indicated in the post. Jaiza, 09176691207. I asked for further details on how we can volunteer in the relief operations. I said ‘we’ because I was already thinking of tagging along my partner Jikjik, mama, and some other interested friends. Volunteers must be 18 years old and above; must come with proper clothes (i.e. closed-toe shoes, no sleeveless and shorts); schedule is from Monday to Saturday, 8AM-8PM. I already marked Oct. 21 for the volunteering opportunity, however, I received an update from Jaiza last October 13, 2017: As of the moment, the repacking activity is postponed. We will keep you posted for the resumption. Thank you. As of today, I haven’t received any update yet on the resumption. As soon as I get one, I’ll post it on this blog. I published a teaser information on my Facebook timeline, and one OFW asked me how she can extend help, and what are the preferred relief items. I called DSWD at tel. no. 851-2681. They told me that we can directly take our donations to the DSWD-NROC in Pasay City. Preferred items are sleeping mats, slippers, and food (which would not expire within at least six months). For cash donations, I found the below information on Rappler, but also verified it with DSWD Central Office through tel. no. 355-2849. Donors should notify the DSWD Finance Management Service or Cash Division of their donation through phone (355-2849 / fax: 931-8127) or email (finance@dswd.gov.ph / cash@dswd.gov.ph). Please send a screenshot/photo of validated deposit slip together with your information (name, nationality, and address), and INTENTION (e.g. for Marawi displaced residents). The OFW who asked me (which was once my churchmate, now residing in USA) prefers to just send cash donation to my personal bank account and let me buy the stuff for kids in Marawi 🙂 You can do the same. It would be my pleasure to serve as your hands and feet for this. For my bank account details, you may email me at lunadanipog@gmail.com. You may start sharing this information with your family and friends, here and abroad! You may also rally the youth in your church or community to gather donations; better yet, if you have a means of transportation, you may allot a date for your group to personally go to DSWD-NROC in Pasay City to volunteer in the relief packing. These are just some ways of showing our love for our kapwa Filipinos in Marawi. If you know other means, feel free to share through the comments section below, or start publishing information in your own social media platform or blog 🙂 The Facebook Live video version of this blog can be viewed here. Of course, as we help Marawi rise from the ashes, it is high-time for all of us to join our hearts in prayer. Pray for the government, our leaders. Pray for Marawi. Let us pray and ask God/Allah to grant us peace and unity. Let us ask for renewed hope and strength as we collectively face the challenges of tomorrow. This is a time to rediscover our strength as one Filipino people, and reflect on God’s mercy and faithfulness to our nation. This one I wrote in the opening description of my Facebook album which contains photos on my birthday celebration last July…not actually birthday, but birth month celebration. So obviously, it’s some sort of a #latepost blog content. Sorry for that, but I cannot not post it here on my official blog because I’d like all of you to still be part of it, even though the activities were all over…because the truth is, I guess the Lord’s not yet done with me. The celebration, and the works are not yet over. So this is the FB Event and album cover photo: Wheat fields. Wheat fields reflect harvest. It shows us a glimpse of abundance, of peace, and security. It also reminds us of how God brings forth life from the earth, to and for the earth. While some of us experience a life in abundance (financial, emotional, spiritual), peace, and security, many still live in hunger, distress, and vulnerability. They are the people who hardly taste an abundant harvest from God’s own creation. They are the people who scarcely feel the abundant love of our Father in heaven, simply because men on earth have built prerequisites in experiencing His affection. I have always believed that in the verse “The harvest is plentiful, but the workers are few,” (Matthew 9:37), ‘harvest’ simply refers to people who have not yet been evangelized or who have not yet ‘heard’ of Jesus. But as I became more aware of the reality of humanity, I began to doubt my interpretation, or rather, the interpretation handed down to us in traditional Sunday schools and sermons. Beggars, homeless elderly, tambays, and street children form part of the ensemble cast in our daily lives, but never have they been more visible to me than in the past two or three years. I wrestled with God on this. I asked, “If the harvest would only mean verbal evangelism of salvation from hell and getting a ticket to heaven through Christ, what do we do with these people who pray to be saved from daily hunger and oppression?” I thought, the least thing these people would need is to hear another Bible story about God’s love while enduring the day without a single bread on their table, or without someone whom they can share their fears and struggles with, receiving no condemnation or a solid one-verse-is-all-you-need answer. I may be wrong, or right, or somewhere in between, given my shy knowledge and experience on exegesis (or whatever you call that in the seminary). But it has stuck to me, like an LSS. I should’ve been more careful with what I have prayed for. Now, I guess I’m beginning to experience just that. Road to Damascus – I learned about the Damascus Foundation in Bulacan, and I included it in my line-up of activities. It’s a rehabilitation center which is now more focused on shaping character/values of out-of-school youth, and has a Day Care center. I created an FB Event for this, and invited some of my closest friends and contacts to celebrate with me, either by physically joining the activities, or by extending monetary support, or giving donations in kind. I was really surprised on how it all turned out! God is so amazing, He let us all realize that we can create chains of goodness, because He is good, because we are created in His image. If someone would just provide a venue or an opportunity for others to extend love and kindness, they would be willing to do so. July 7 – So this is the GEEX Burger team. 🙂 Sorry, I got no photos of us giving food to street children, I didn’t want to spoil the real moments. The above photos were captured after the activity. We biked around Almar, Zabarte, and Novaliches Bayan and gave away free burgers to street children/homeless families. It was dead tiring, yet fulfilling! The recipients of the free burgers are more human than me. They taught me lessons I could treasure in my heart for a lifetime. July 22 – We originally planned to conduct this in a half-court area near these kids’ community in Palmera Springs Subdivision, Camarin, Caloocan City. Yung tipong mararamdaman nila na tayo yung umaabot sa kanila, kaysa sa maramdaman nila na we are just inviting them to the church. However, due to the construction of a tower (National Power Corporation) on that same spot, we held the event in our church instead. I let them introduce themselves first, and share their dreams. Then I shared with them Jesus’ dream for all of us: that we’ll be able to love one another, through the modified story of the Good Samaritan. We ate our snacks (pizza and hotdog), then enjoyed the games. We distributed to each kid a pack of school supplies containing a pencil, notebook, drawing pad, crayons, school snacks, and a storybook from Adarna House and Hiyas by OMF Literature. In the following Sundays, some of these kids returned and attended Sunday school. I hope and pray that they learn more about Jesus here, and elsewhere. Aug. 5 – Ang Damascus Foundation ay naitayo ni Sir Robert Tiangco para magsilbing isang rehabilitation center para sa mga kabataan na biktima ng ipinagbabawal na gamot. Pero ngayon, naka-focus sila sa character building ng mga kabataang lalaki na wala ng pamilyang inuuwian, yung iba naman kakalaya lang sa kulungan pero walang kumpanyang tumatanggap sa kanila. Bukod dito, may Day Care Center din ang Damascus. I met Sir Robert in a radio program episode of our organization in DZRB, featuring some of the country’s outstanding volunteers. He was one of our guests. He shared his story–a life that reflects God’s mercy and love. He was a former substance user and pusher, but God saved him from his then miserable life. When he became a President of a Rotary Club chapter, he began to live a double-life: active in outreach programs in the morning, and taking illegal substance in the evening. He wanted to change. He underwent rehabilitation and spiritual development with the help of a Catholic priest, until he was cleansed (physically and spiritually). His experience urged him to put up a foundation that would cater to those who were like him. He put up the Damascus Foundation Inc. in Angat, Bulacan. It was an ecstatic day for me. My closest friends in high school, Jan, Rara, and Garet, joined the activity (aside from donating some goods). Mama, who also celebrated her 60th birthday last July 28, enjoyed the experience. My cousin, Ate Jing, and her husband were the ones who supplied the food for us. My partner, Jikjik, and Bryan (one of the GEEX Burger dude, and pro photographer) listened to the stories of the Damascus boys. We had fun watching the performances prepared by the Damascus community. Kids handed me thoughtful letters. One of the Day Care teachers gave me a handcrafted bag, one of the products in their livelihood programs for mothers. These people are authentic. I am grateful to God that once in my life, I met them, and was loved by them. The experience was indeed overwhelming. In a debriefing session, Jikjik told me that while he was reflecting on “giving back”, he realized that we can look at it this way: that we can’t really give back directly to God, but only through and to our fellow humans (with whom Jesus dwelt, and became God-incarnate himself). And so I guess my birth month celebration won’t be the last. Jesus was right when he said that “The harvest is plentiful, but the laborers are few”. There’s so much work to be done in God’s kingdom. No, I won’t do this alone, because I believe that there are many people out there, like me, who want to give back, to respond to God’s calling. Therefore, let us pray earnestly to the Lord of the harvest to send out laborers into his harvest.